Does your community need more affordable housing or facilities to service community members? 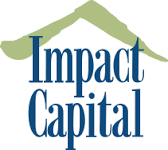 Impact Capital’s, Judith Olsen will provide an engaging presentation on how Impact Capital makes it easier for nonprofits to get seed money for projects that help people improve their quality of life, and shape the future for their community. She will provide case studies and examples of unique partnerships and financing structures that have resulted in the development of affordable housing, preservation of aging properties, as well as the development of communities facilities. Impact Capital has worked in every country but two in Washington State, they can help leverage other partnerships and help you access the catalytic first in capital that is often a road block. Some of these project include an acquisition loan to the Housing Authority of Kennewick for the development Nueva Vista project which provided 32 affordable apartments for low-income residents, and a pre-development loan made to Transitions-Spokane, which is funding a feasibility study for a project which will offer permanent supportive housing to very low and low income individuals and families who have been chronically homeless or have special needs.